Dropbox, with 100+ million users, has become a case study in startup success. But before that success they had a big problem to overcome, one that seems to plague startups everywhere. How they solved it and what that has meant to their company provides a look at the future of business communication and how to engage and turn website visitors into customers. Companies are problem-solving machines. Whole teams and departments exist to solve engineering problems, design problems, marketing problems, and management problems. Dropbox was no different. They saw a problem causing pain for computer users everywhere and solved it with a remarkably simple solution. By downloading a small program, Dropbox users could suddenly access their documents across computers and devices. Dropbox solved the design and engineering problems in an elegant fashion. They secured funding and saw an opportunity for mainstream success. Yet one big problem lingered. Dropbox was very difficult to explain. It was a new idea that lived in a world without analogy. The company needed a way to make people care about Dropbox before clicking the “Download Dropbox” button. This is where Dropbox found a solution. In 2009, Dropbox approach Common Craft about creating an explainer video. 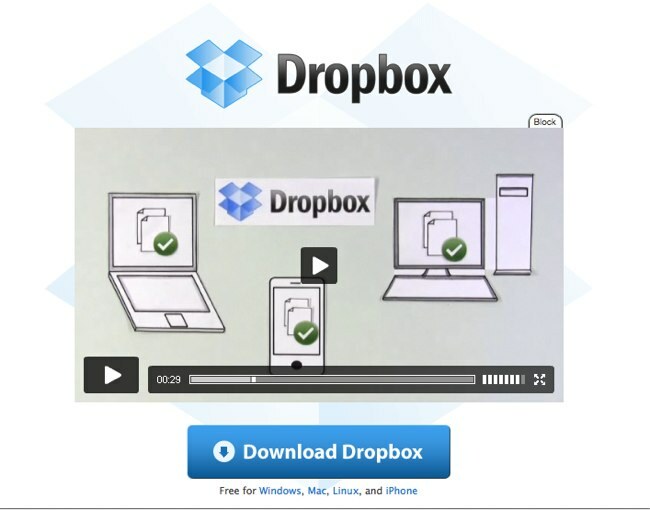 A few months later, the home page of Dropbox.com was redesigned to display a short animated video to introduce and explain the product. Watching the video was one of the only actions a visitor could take on the front page other than sign up. It was a central part of their website strategy. At the time, Dropbox had more than two million users. Over three years and 100+ million users later, the video had an impact. Of course, I can't claim that the video was the reason Dropbox grew so incredibly. But the video's presence during this growth speaks for itself. Dropbox is not the kind of company that takes their home page lightly. As the company has evolved, the video is no longer available on Dropbox.com. However, I was recently able to get data on it's performance. Dropbox told me that over the last year, it averaged about 30,000 views per day, or about 900,000 views per month. During the three years the video has been available, it’s racked up over 30 million views, making it one of the most viewed product videos on the Web. By using a video on its front page, Dropbox was able to solve their explanation problem and give visitors a way to imagine how it could fit into their lives. The video worked because it was designed to be an explanation. Its content is not about features, marketing buzz or technical superiority. Rather, it answers a simple question that every company should consider: “Why should I care about this product?” By answering this question simply and clearly, they were able to motivate website visitors to sign up. The video also has a number of traits that have proven to be effective in similar situations. For example, it’s brief, about 2 minutes long. It tells a charming story of a person who experiences a problem and finds that Dropbox solves it. The video is also presented in a disarming style that uses paper cut-outs and stop motion animation - a format known as Common Craft Style. These factors matter and the Dropbox founders made them a priority. But there’s more to this picture. Unlike many startups that see viral videos and YouTube views as the key to success, Dropbox thought differently. They saw an opportunity to connect the video with the one thing that mattered most -- the “Download Dropbox” button. By hosting the video themselves and making dropbox.com the home of the video, they could build a front page strategy around it that focused less on views and viral shares, and more on conversions. This is not possible on YouTube. Dropbox is just one example of companies that are seeing the potential to think differently about how they communicate. Amidst all the technical and design problems to solve, it’s easy to overlook the potential to focus on explanation as a strategy. But the potential is real. People are less likely to adopt what they don’t understand, and remarkably good explanations are the key to solving that problem and inviting website visitors to take the next step. 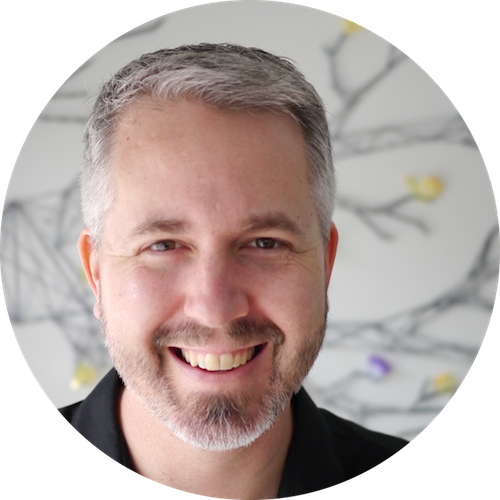 Lee LeFever is the founder of Common Craft, author of The Art of Explanation and is credited for inspiring the explainer video industry.